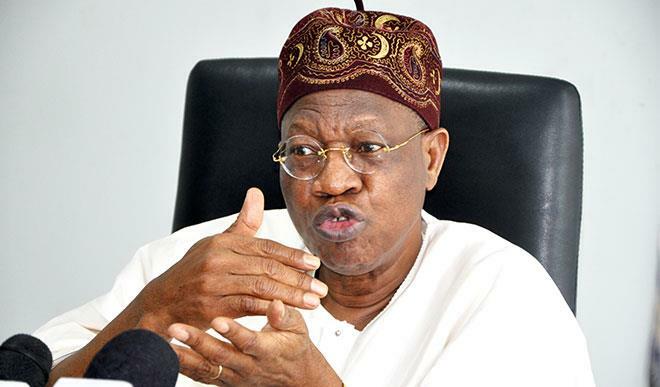 The Minister of Information and Culture, Lai Mohammed said the Federal Government was delighted that the warning came after it raised alarm of some politiciansâ€™ plot to scuttle the 2019 elections through widespread violence. In a statement issued in Ilorin, Kwara State, the Minister said Nigerians and the international community should take seriously the assurance of a credible and violence-free election that has been consistently given by President Muhammadu Buhari, who is a â€œtried-and-tested democrat and a globally-acclaimed man of integrityâ€. The statement reads: â€œA few days ago, we alerted the nation to the plot by the opposition to orchestrate widespread violence in the country, using insurgents and criminal elements within and outside the country. â€œTheir plan is to scuttle the election and then push for an interim government, having realized they canâ€™t win a free, fair, credible and peaceful elections. â€The fact that those statements came after we issued our red alert, which is based on credible intelligence, shows that the international community is closely monitoring events ahead of the election.